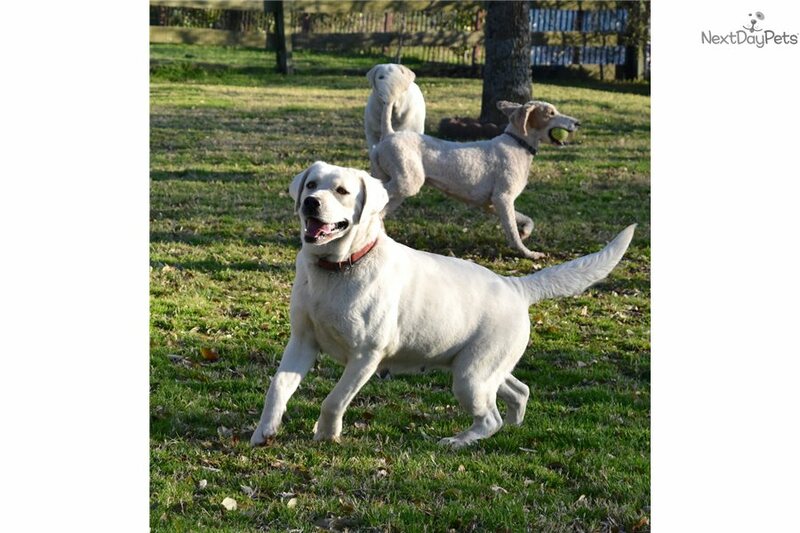 Gorgeous White Lab Girl ANGEL! 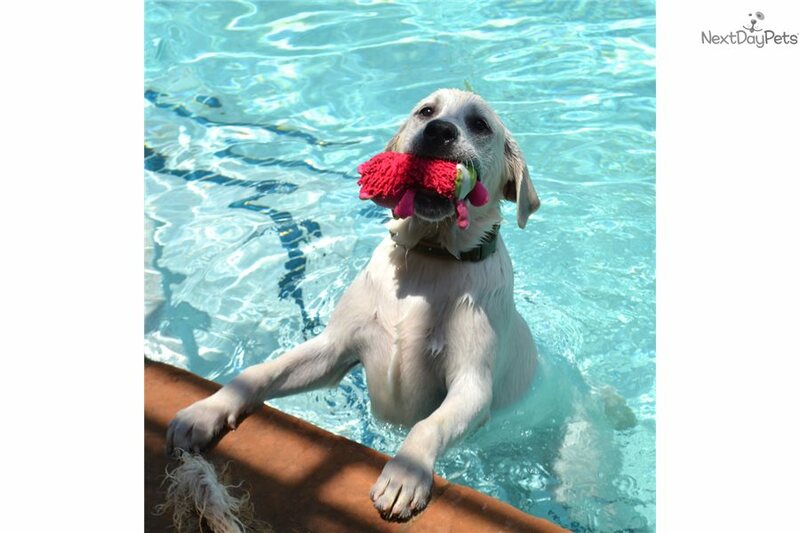 This Labrador Retriever nicknamed Angel sold and went to a new family. 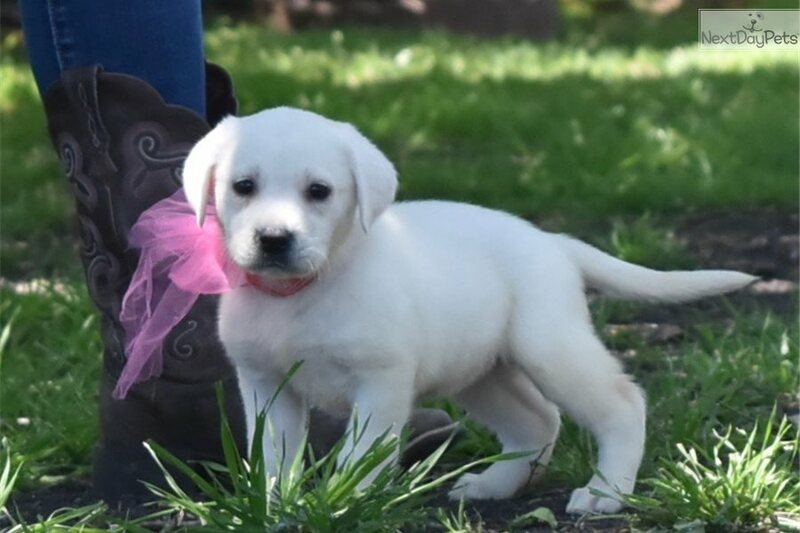 This is ANGEL wearing the PINK Bow and she is available! Our focus as breeders is to deliver to you a strong healthy puppy of uncompromised quality..that is drop dead gorgeous and a delight to have in your family! We as breeders, have been recomended by national publications, and have been featured in "Just Labs" magazine and in D magazine. Take a minute and visit our website and facebook page where you will see 100's of photos and referrals from our families and their treasured pets! Our babies all come pre vet checked and its a serious detailed vet exam in writing! 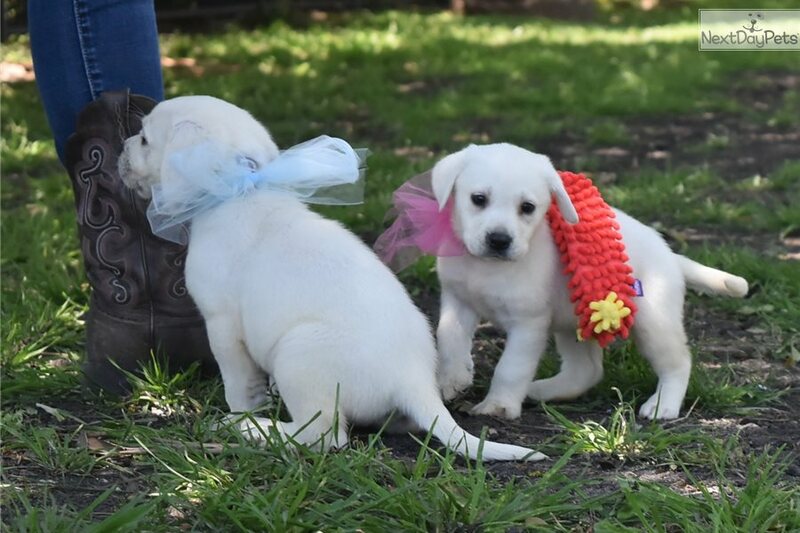 There is no risk to our clients as we have eliminated the health concerns that can be an issue with new puppies. PLEASE CALL/Text Kathie at 972-679-5720 as Emails are often SPAM BLOCKED ..Many of our dogs have gone on to service and search and rescue! We are so proud of our pups. We know you will be thrilled! 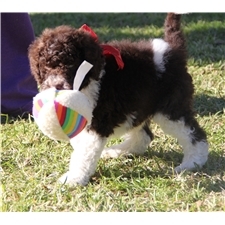 Call Kathie to place a deposit to hold your new loving family member.